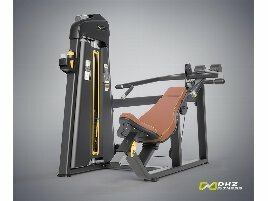 Category "Shoulder Press / Shoulder Machine"
A shoulder press is a training machine for shoulder muscles. 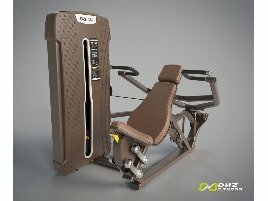 Most versions of this machine provide extra-large comfortable grips with various possible grip positions which are suitable for most athletes. The seated paddings can be adjusted to the size of the training person and ensures the optimal body posture. 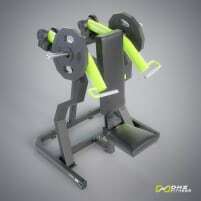 The counterpart to the classic machine is the front press and means the training with barbells and weights. Both exercises are good possibilities to train the shoulder muscles. 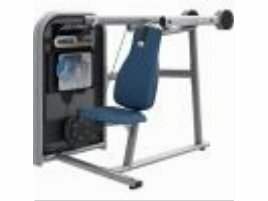 The athlete fixes the chosen weights on the arm of the new or used shoulder press and adjusts the seat to the correct position. He or she sits upright on the padding and the feet stand firm on the ground while the hands are on the same height as the neck. Then the hand grips are pushed upwards until the arms are nearly stretched. Then the athlete goes back to the starting position and repeats the exercise. Beginners should get advised from an expert before using new training equipment to avoid wrong body postures and injuries. 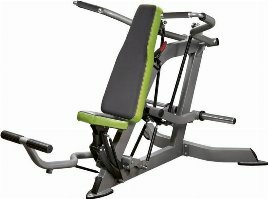 An expert can also choose a suitable weight for the training on a new or used shoulder press, which should be light in the beginning and increased slowly. 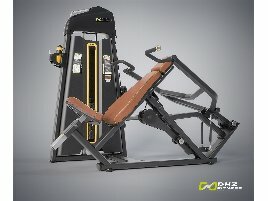 If you don’t have enough time to go to a gym but don’t want to miss power training, it is a good alternative to buy a new or training machine for your home. In any case you should get advised by an expert about exercises, body posture and ideal weight before using new fitness equipment to avoid injuries. 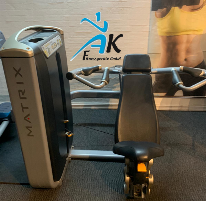 Buying training equipment like new or used shoulder presses for your home can be an advantage because you no longer depend on opening hours of a gym, but can exercise early in the morning or late at night after work without leaving the house. 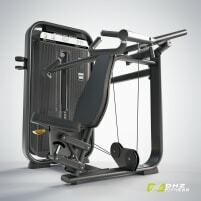 However, it is always necessary to warm up and stretch your body before training on a new or used shoulder press. 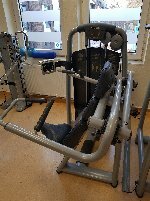 If you are closing a gym and want to sell a used machine, just create an ad on fitnessmarkt.com. 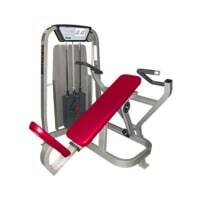 It is recommended to give a detailed description of the new or used shoulder press so the prospective buyer has the most important information just at a glance. It also supports the sales opportunities to add pictures of the machine to your ad.